Fishing is one of the most exciting activities for visitors to Wilmington and the beaches. Fun for an entire family or as a shared experience with one or two close friends, there is nothing like seeing the foundation for supper come wriggling out of the emerald water and into the golden sunlight. Fall is one of the best seasons for fishing, with many of the most popular fish having fattened up all year long in preparation for their southward migration. In September, the fall runs begin, with big schools of game fish following billions of baitfish as they head for warmer waters to spend the winter. A few species like speckled trout and red drum remain active in the area all winter, until the arrival of the very coldest temperatures shut down the bite. Anglers&apos; favorites include flounder, speckled trout, red drum, Spanish mackerel, king mackerel, bluefish, pompano, gray trout, spot, croaker and whiting. While a boat is handy to have, no one should be discouraged because all of these fish are available to anyone who has a fishing rod. The area has some amazing fishing opportunities for anyone who has a paddleboard, kayak, canoe or johnboat or is simply a bank-beater who uses only his own two feet. Many an angler&apos;s first saltwater fishing experience occurred at an ocean pier. The area&apos;s piers [Kure Beach Fishing Pier, Carolina Beach Fishing Pier, Crystal Pier Wrightsville Beach & Johnnie Mercer&apos;s Fishing Pier Wrightsville Beach] are world famous for their abundance in terms of variety and abundance of fish. While something is biting all year, it is the tiny spot that brings more fishermen to the piers than any other fish. While calling various piers to see where the fish are biting during their peak runs was once the norm, now fishermen from all over can see the fishing action thanks to webcams at most piers. The key is looking with the cameras at the parking lots. If a parking lot is full, the spot run is in full swing. In a reverse migration of tourists, people who live at the coast head for the mountains to see the fall leaf colors while people in the mountains and Piedmont head to the coast at the same time to catch the spot run. The fishing peak usually occurs in October. Spot fishermen fill their coolers with a multitude of other species as well. All it takes is a spinning rod, a two-hook bottom rig and some bloodworms, artificial strips or shrimp for bait. If isolation is what you seek, don&apos;t go to a pier during a spot run because anglers will be joking and laughing, standing shoulder to shoulder as they swing fish over the rail. Flounder fishermen use live baits, with mud minnows a favorite. At the ends of the piers, king mackerel fishermen use trolley rigs with live bluefish, pinfish or spots to catch king mackerel and other big game fish. Anglers who like casting can catch bluefish and Spanish mackerel with spoons and Got-Cha lures. Red drum fishermen may catch these copper brutes on any rig baited with live or cut bait. This area is blessed with some of the most accessible beaches for surf fishing anywhere in the world. While few other towns allow beach driving, Pleasure Island has beach driving at the island&apos;s North End of Carolina Beach and the South End at Fort Fisher. With the exception of king mackerel and Spanish mackerel, surf fishermen catch most of the same species available to pier fishermen. After the onset of cold weather, wearing a raincoat and waders can help an angler make long casts and then land their fish in the rumbling surf. At the North End, Freeman Park has a kiosk where fishermen must pay to drive on the beach. They can also buy passes on the Town of Carolina Beach website. Driving on the sand allows access to the great fishing along the Atlantic Ocean and Masonboro Inlet. At the South End is Fort Fisher State Recreation Area. Anglers can park at the office and walk over the dunes to fish or they can drive along the beach after stopping at the office to paying the access fee. Anglers with kayaks and other small boats can launch at the N.C. Wildlife Resources Commission&apos;s [NCWRC] Fort Fisher Boating Access Area [BAA] to get to the legendary fishing for red drum, speckled trout and flounder at The Basin and Buzzard&apos;s Bay. Another great destination for surf fishing is Masonboro Island, which is part of the National Estuarine Research Reserve. Many anglers reach the island by paddleboards, kayaks, canoes and other small craft to surf fish. The beach towns also have many public access areas with parking. Anglers can simply walk through the dunes, spike a rod holder into the sand and begin fishing. As cooler weather arrives, finding a parking spot becomes easier than during the peak of summer tourist season. At Snow&apos;s Cut BAA and Trails End BAA, the NCWRC maintains public fishing area facilities. Carolina Beach State Park also has a fishing pier, a pay ramp and offers walk-in access to Snow&apos;s Cut. New Hanover County&apos;s Snow&apos;s Cut Park also has access to Snow&apos;s Cut. River Road Park, a few miles north, has a public fishing pier that extends far into the Cape Fear River. It also has a ramp for small boats for anglers who are familiar with the river&apos;s tidal range. Freshwater fishermen are not left out because excellent bass, bream and catfish action is available in New Hanover County. Greenfield Lake has several fishing piers, a bridge and a paved trail that provide great fishing access. NCWRC maintains boating access facilities and public fishing piers at Sutton Lake BAA and Castle Hayne BAA. *Photos 2-5 by Mike Marsh, author and outdoors columnist. 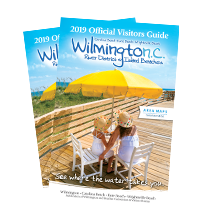 Photo 1 courtesy of Wilmington and Beaches CVB. Mike Marsh, longtime outdoors columnist for the Wilmington Star News, has also written thousands of columns and articles for other newspapers and magazines. He is also the author of four books about local fishing and hunting: Fishing North Carolina; Inshore Angler-Carolina's Small Boat Fishing Guide; Offshore Angler-Coastal Carolina's Mackerel Boat Fishing Guide; and Carolina Hunting Adventures- Quest for the Limit. You can find Mike’s books at Wilmington-area booksellers or order online via his website at www.mikemarshoutdoors.com.